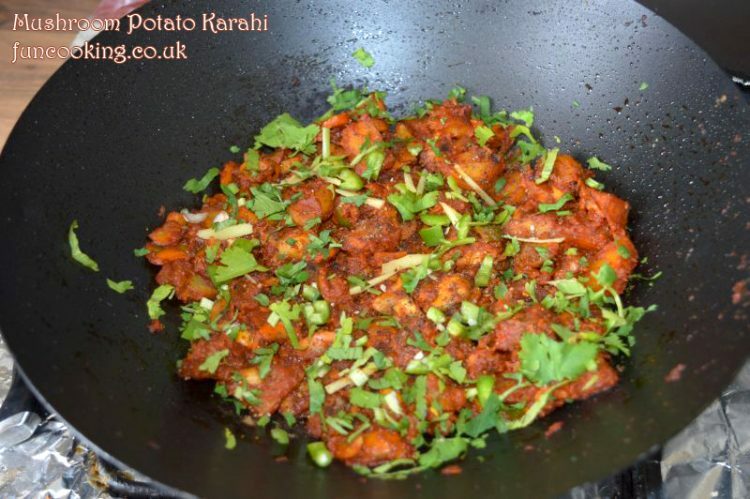 Mushroom Potato Karahi or Mushroom potato Masala or Mushroom Potato Curry, an easy and quick recipe. 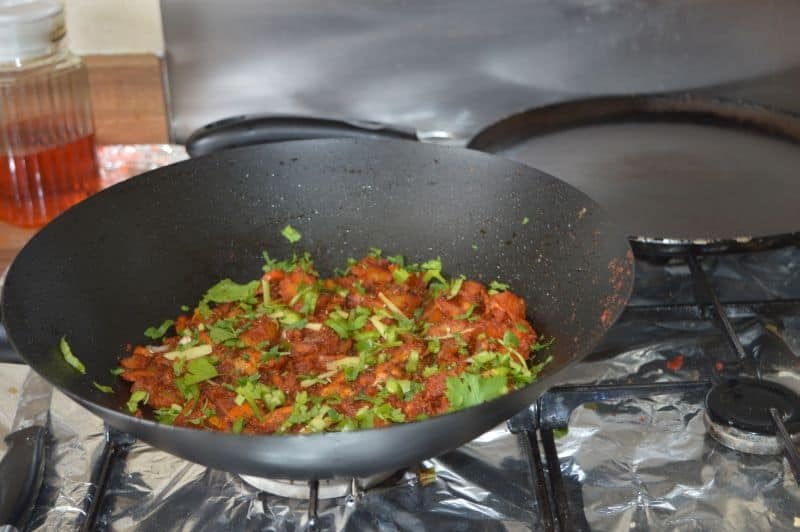 We call wok ( karahi ) in urdu so I named it like this because I cooked it in karahi. Thinking of a quick recipe … I have made this. I added some potatoes in it but you can make this recipe just with mushrooms. 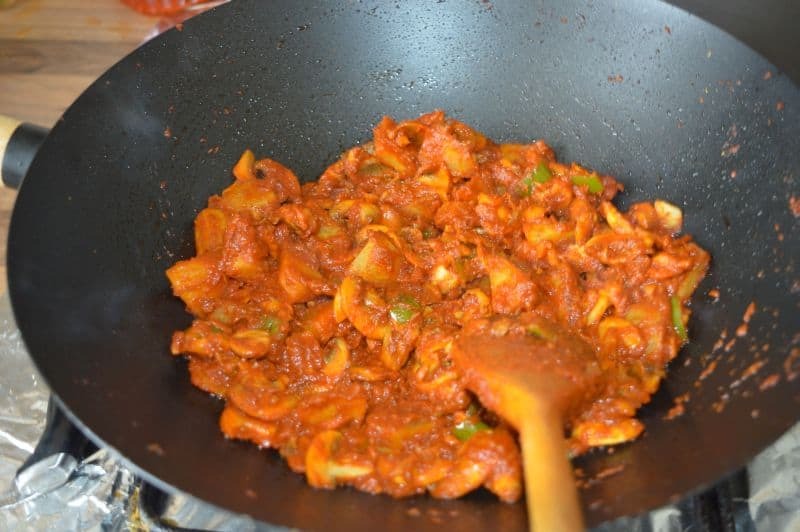 Full of chatpata flavors this recipe is too good. Just hold your hands on chilies if your kids are going to eat it 🙂 . I used tomato puree in this recipe because I want to make it quickly but you can also use 3 fresh tomatoes, just pureed them and cook a little bit longer. 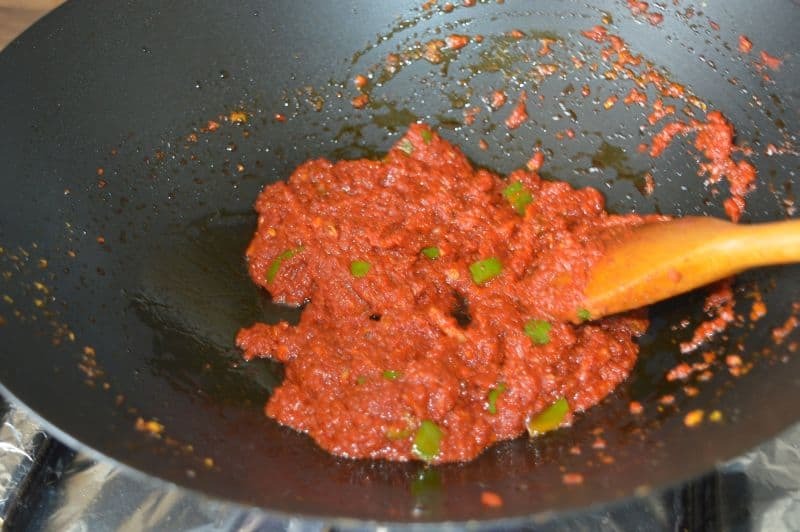 Tomato puree is an awesome ingredient for quick cooking curries. I always keep this in my kitchen cupboard. This is my favorite Tomato puree. So you are in hurry or don’t want to do much in kitchen then make this and enjoy with plain rice/naan/roti. 1. Cut potatoes in small cubes. 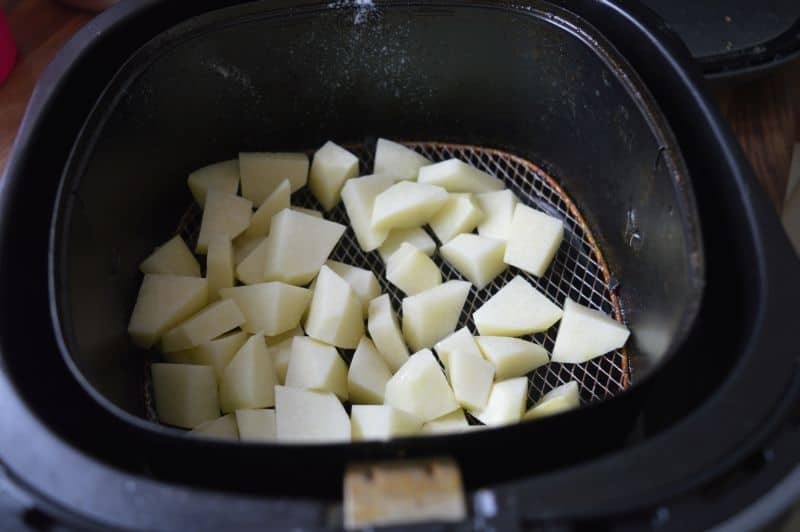 I used air fryer to cook them at 160 C for 12 minutes. You can also fry them until golden, take out set aside. 2. 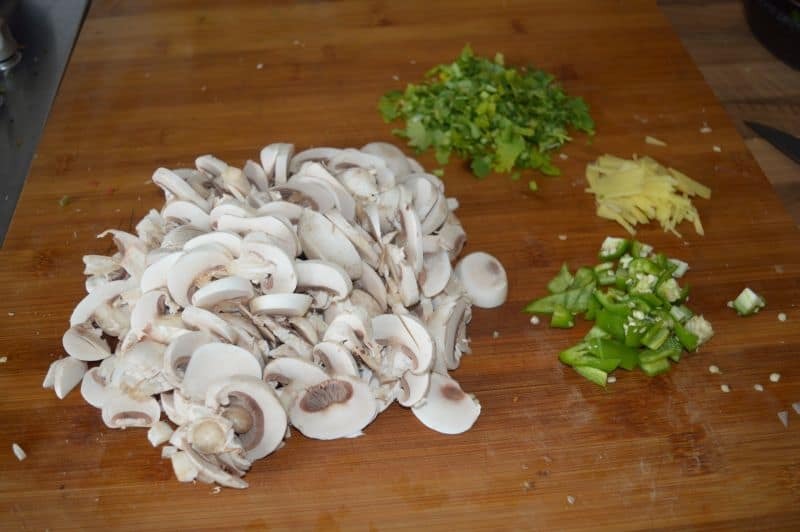 Cut mushroom, green chili, ginger julian and coriander. 3. 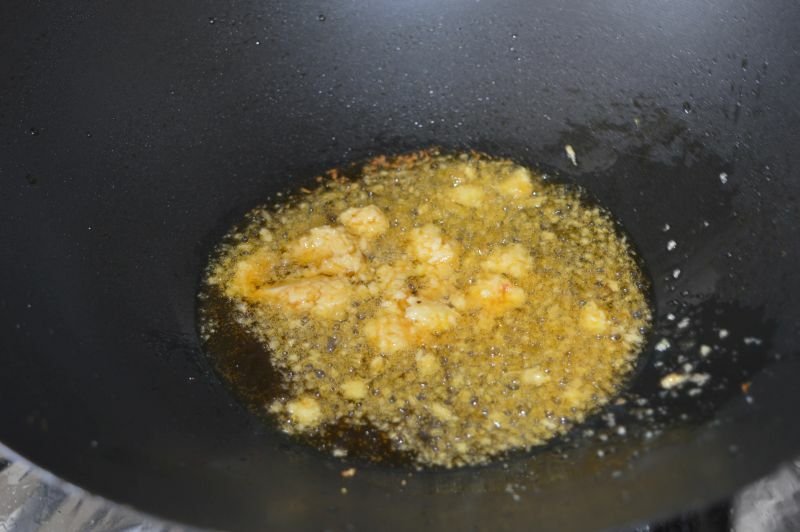 Heat a wok, add oil and garlic paste. stir few seconds. 4. Now add all list 2 ingredients. 5. Cook on medium heat for 1 minute. 6. 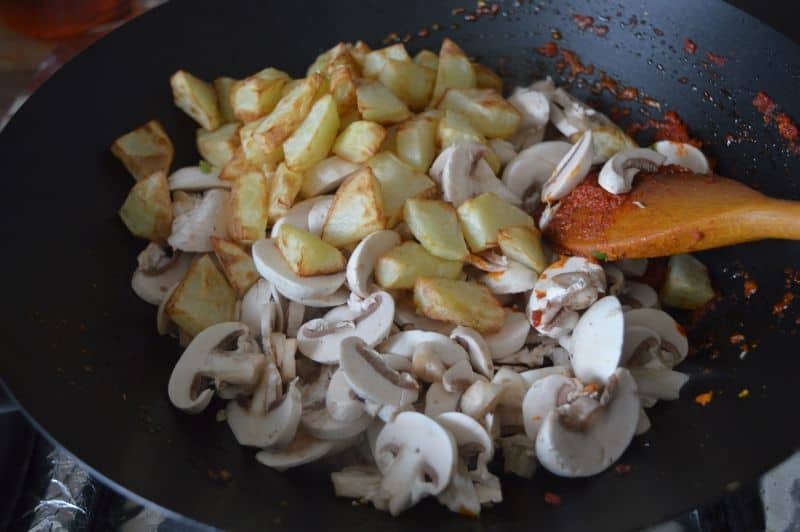 Add in fried potatoes and mushrooms and salt. 7. Stir on high heat for 5 minutes. 8. 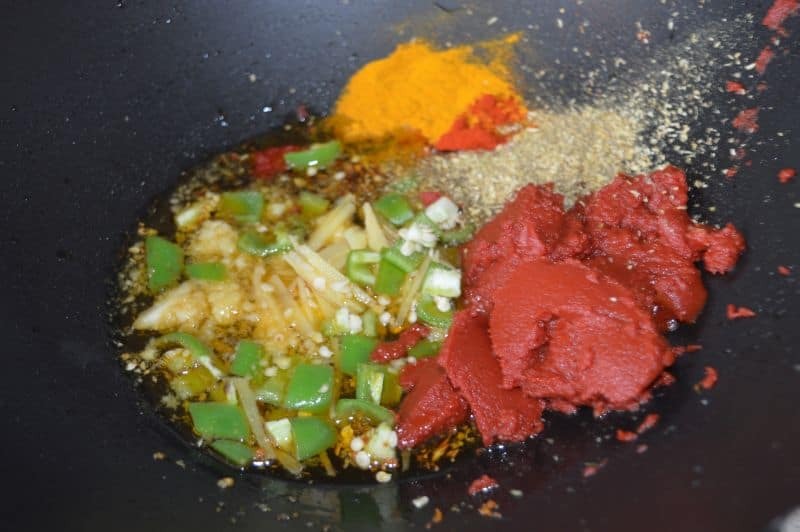 Sprinkle lemon juice, fresh coriander,garam masala powder, black pepper crushed, cover and cook it on low flame for 5 minutes. 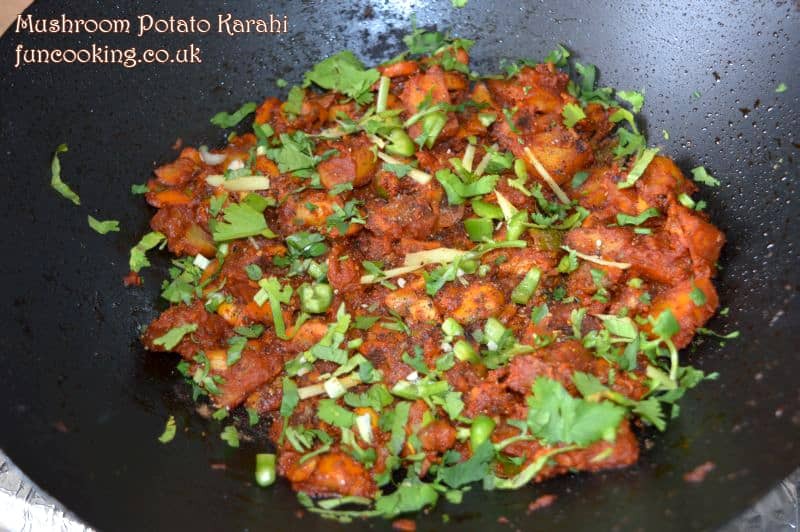 Mushroom potato karahi is ready.